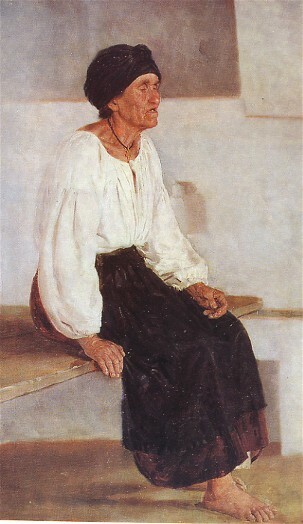 Realism (реалізм). A term that usually refers to art that is representational and depicts the visible material world as closely as possible. It may also be used to designate the opposite of stylized or abstract art or simply to describe a work of art that portrays not the beautiful and idealized, but the common, unconventional, or ugly. 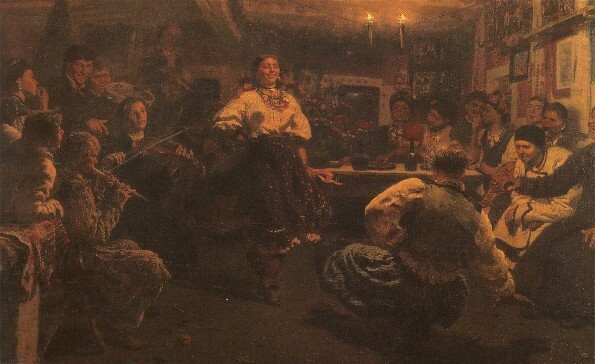 As a 19th-century art movement it is usually associated in painting with the work of French artists, such as Gustave Courbet, even though it found independent expression in other countries, including Ukraine. 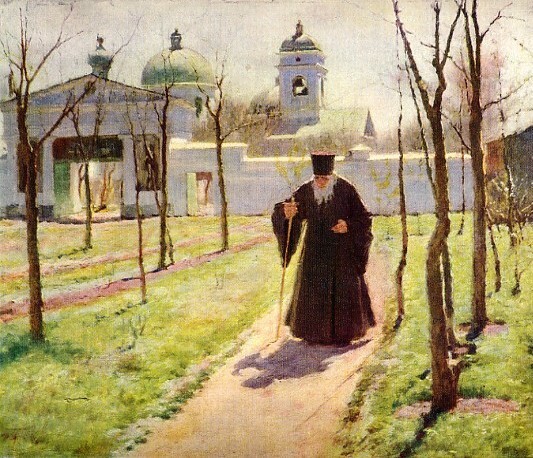 Realism became popular in Russian-ruled Ukraine through the efforts of the Peredvizhniki, a group of artists established in 1870 in Saint Petersburg that promoted enlightenment through traveling exhibitions of pictures portraying the conditions of contemporary life, particularly of the peasants, and depicting landscapes. Style was relegated to a minor role, and socially relevant subject matter was of major importance. 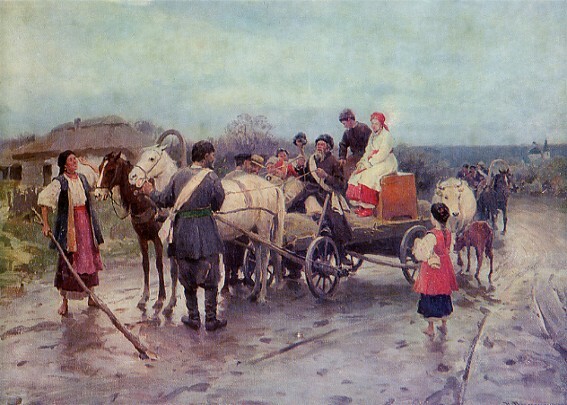 Several prominent Ukrainian-born artists were members of or exhibited with the Peredvizhniki (eg, Mykola Ge, Ilia Repin, Kyriak Kostandi, Serhii Vasylkivsky). 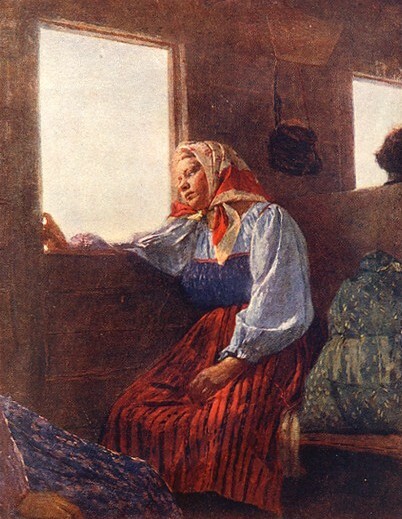 In 19th-century Western Ukraine Ivan Trush, Antin Manastyrsky, and Mykola Ivasiuk painted realistic depictions of mundane subjects, often with peasant themes and ethnographic elements. 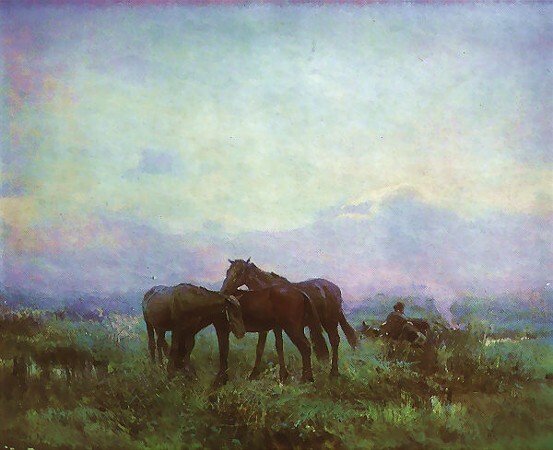 Realistic works produced with an impressionist palette and brush strokes were created by Fedir Krychevsky, Mykhailo Kozyk, Pavel Volokidin, Ilia Shulha, Olena Kulchytska, and others. A type of realism known as socialist realism was forced on all art and artists in the Union of Soviet Socialist Republics, including the Ukrainian Soviet Socialist Republic, in the early 1930s, and remained the only officially sanctioned method until the late 1980s. Demanding politically correct content, naturalistic rendering, and adherence to Marxist-Leninist esthetics and to the dictates of the Communist party, it resulted in many stereotypical depictions of Communist heroes and leaders and happy workers and peasants. 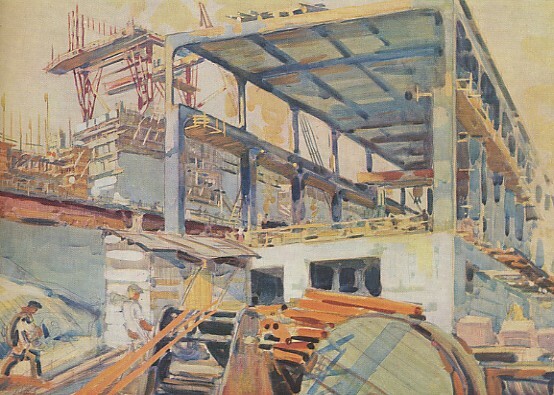 The more interesting socialist-realist artists in Ukraine were Mykhailo Bozhii, Oleksandr Lopukhov, Serhii Hryhoriev, Oleksii Shovkunenko, and Tetiana Yablonska. A variety of socialist realism known as the ‘severe style’ appeared in the USSR after the death of Joseph Stalin. Its adherents portrayed the ordinary aspects of life instead of idealized and heroic socialist-realist subjects. 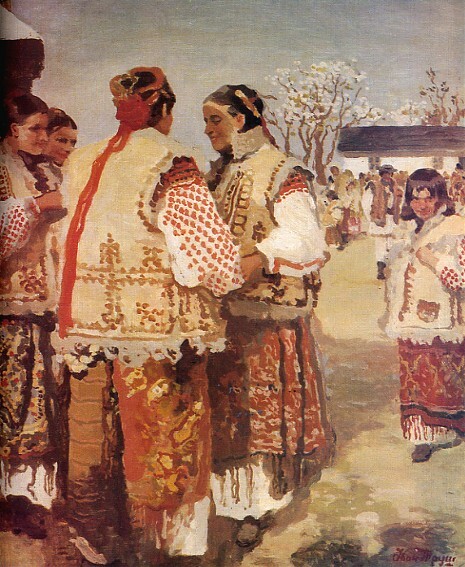 Liubomyr Medvid depicted the unpleasant and perturbing side of life in paintings such as First Collective Farms in the Lviv Region (1972). A new kind of realism known as photorealism or hyperrealism developed in the West in 1970s. It has had an impact on the work of artists in Ukraine, such as S. Bazylev and S. Geta, who have used precisely rendered close-up views and photographic images. It can also be seen in the work of L. Bodnar-Balahutrak in the United States and in the superrealist figural compositions of Natalka Husar amd M. Stefura in Canada. Jacques Hnizdovsky depicted selected objects and figures in a meticulously rendered realist manner.